Do you want fuller lips? 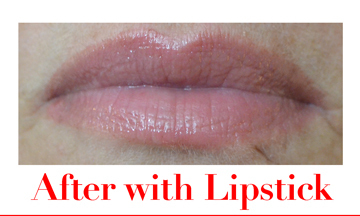 Tired of your thinning lip line? Then try fullips. fullips is a small, portable, hand held, self-suction device designed to enlarge and enhance your lips in an inexpensive and non-invasive way. It can help fill out small lines around the mouth and add color to give a more defined lip line for applying lipstick or liner. If your lips are not what you would like them to be, fullips can help enhance your looks without the expense, pain or worry associated with injections. The newest, safest, natural way to enhance your lips in seconds. Step 2: We recommend lightly exfoliating lips and the surrounding area first, with a soft washcloth or soft toothbrush, to help achieve fuller results. Next, wet the area around your mouth with water. This moisture is not necessary, but may help establish tighter suction which is the key to a good result. Watch the videos below for demonstrations of a few different techniques of how you can use your fullips lip enhancer.